Home / News / Is A Ghostbuster Up For The Role Of Iris West’s Father? Is A Ghostbuster Up For The Role Of Iris West’s Father? 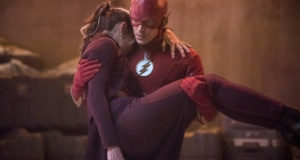 Earlier, a we-knew-it-was-reliable report at Bludhaven Banter suggested that Iris West of Arrow’s Flash spin-off would be African-American, and that her father, Detective West, would be a father figure to Barry Allen, having taken him in after his mother was killed and his father was sent to jail. Today, folks at Superhero Movies News and ComicBook.com have brought attention to a podcast that recently featured Ernie Hudson (Ghostbusters). 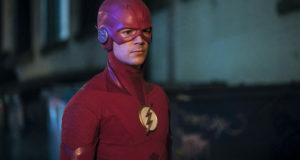 Titled “Cross The Streams” and posted at GhostbustersNews.com, guest Hudson brought up that he is meeting with the creators of the Flash spin-off next week, and that he has to prepare for it. When asked about the role he’d be trying out for, he said he was playing “his [Barry’s] adoptive dad… or, the dad of…” before cutting himself off. He did mention that Barry Allen’s actual dad has a problem. Ernie Hudson has worked in superhero TV before, having played a role on Heroes in 2009. More importantly, he was the voice of Cyborg in the classic Super Powers Team: Galactic Guardians series. Additionally, he has portrayed voices in the Superman and Batman animated series of the 1990’s. You can listen to the podcast here. We wish Ernie Hudson lots of luck with getting the role! Next: Vibe To Appear In The CW Flash Series? Man I definately like ernie and love to see him join the show. Still don’t know how I feel about race changing west family. I know what you mean but at the end of the day it’s not usually a big deal that a character’s race is changed, especially if it’s a secondary character. If Iris West or her family had ever been part of a storyline where being Caucasian mattered, it would be different. Such a scenario would be hard to imagine-the only thing that comes to mind is if she’d had ancestry that HAD to be Caucasian to make sense. It may seem like they’re arbitrarily changing race but it makes sense when you consider that most of these comic book characters were created during a time where white males were marketing to white males and minorities had less civil rights. They have to create diversity somewhere to be marketable in today’s society. As a comic book purist, I’d like them to have to change as little as possible but that’s not the hand the past has dealt us. 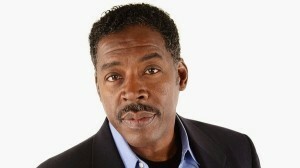 I’m with you though that I’m a big fan of Ernie Hudson and would enjoy seeing him on the show. If Erie Hudson plays Iris West father, why does race matter the guy is such a great actor! Great casting but I am more curious to know who is going to play Iris West? and Wally West? Does ANYONE realize that if Iris and her father are African American… Wally West will probably be african american too? Should we wait for Linterna Verde Jaroldo Giordano? an Asian Bruce Wayne? And i Can’t wait for James Kings A.K.A. Blue Beetle… we Flash fans wait two decades for this? or maybe Iris and her dad are going to be killed eventually to make room for another girl also called Iris West… just like happened to Jimmy Olsen in Smallville… killed and years later his little brother was Jimmy Olsen too? wtf ppl… Someone PLEASE talk some sense into the producers or whoever’s in charge!!!! I think it’d be awesome to get Ernie Hudson but I thought of a detail I’d not considered. Will Wally be black too or is he just not in the show? I’d be cool with him just not being there but isn’t Flash II supposed to be the same guy as far as the general public knows? That would be hard to carry off, you know? If Wally/Kid Flash/Flash II isn’t in the show I don’t care what race they are and I’m happy about Ernie Hudson. I do hope they recast Linda Park or hire that actress from Arrow to be at least recurring. She could be an interesting character.